Very spacious, kitchen was adequate. The location was excellent. The instructions for access during non-business hours was very good and detailed. That we could leave the car in parking place after the check out (paid parking), and the window view to the Carcassone medieval cité. Quiet and calm. Good cost value for the paid breakfast. Easily accessed, clean, well priced, convenient. The location of the hotel is right next to the old town. We came late and there was no one at the reception (this was known to us). Via email and text message we were given step by step instructions of how to check-in and it worked perfectly. On our way we exchanged a few emails and all responses we got were timely, detailed and helpful. Upon check-out we were allowed to use the parking for a few more hours (for free) which allowed us to easily spend a few more ours in the town. Everything was clean and the staff was very friendly and helpful. The staff was super friendly and even let med leave my car in the garage for a couple hours after check out which was awesome. The location is perfect! The property sits just at the base of the hill and you cross the road and walk the path to the city gates. No parking worries. Once inside the old city it is easy to get around on foot. The staff was very friendly and helpful. The location was very close to the castle. It was very clean. 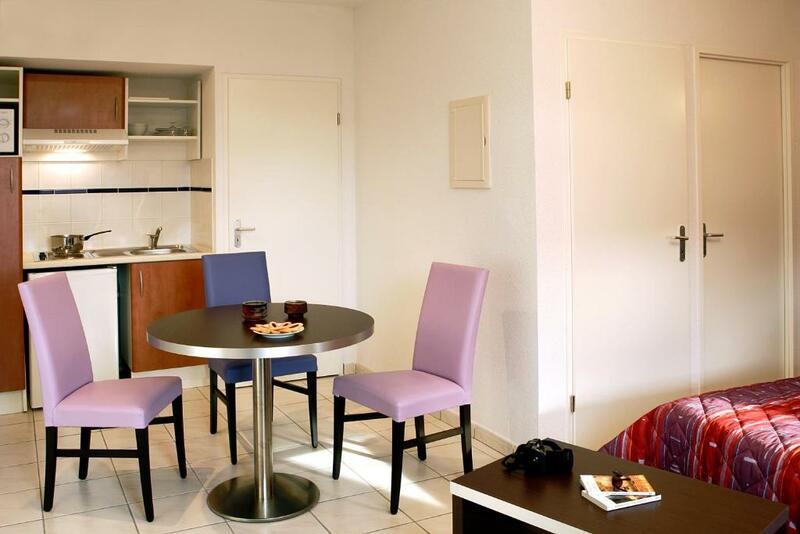 Lock in a great price for Adonis Carcassonne – rated 8.1 by recent guests! 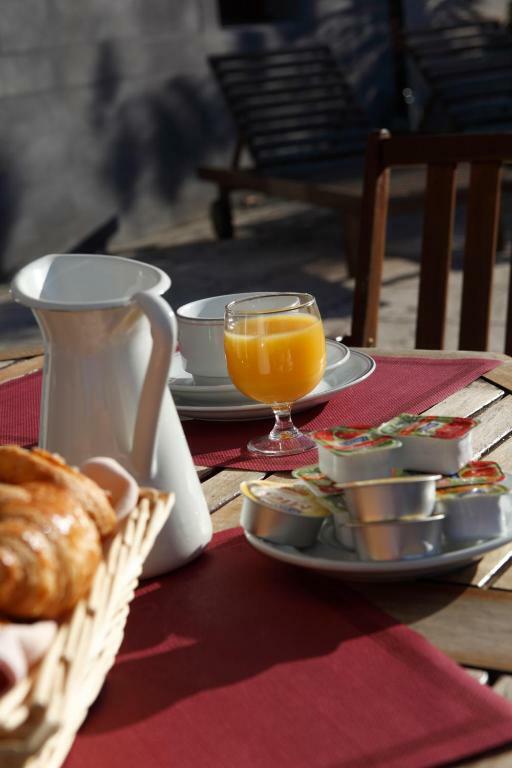 Adonis Carcassonne offers accommodations at the foot of the historic center, just 1,150 feet from the medieval town of Carcassonne. 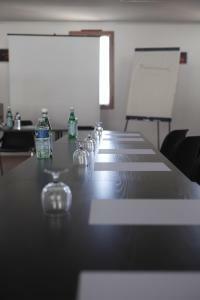 It is a 10-minute drive from Carcassonne Airport. Free WiFi access is available. 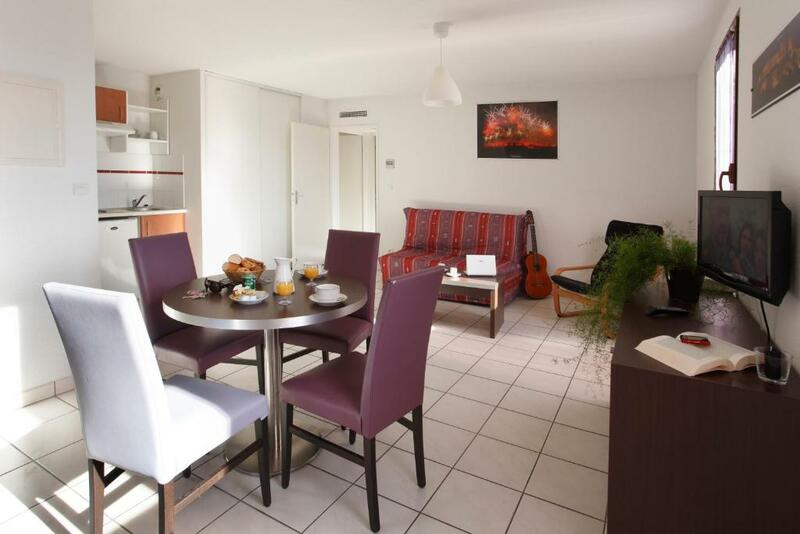 An LCD TV with satellite channels and a private safe feature in all of the apartments and studios at Adonis Carcassonne. 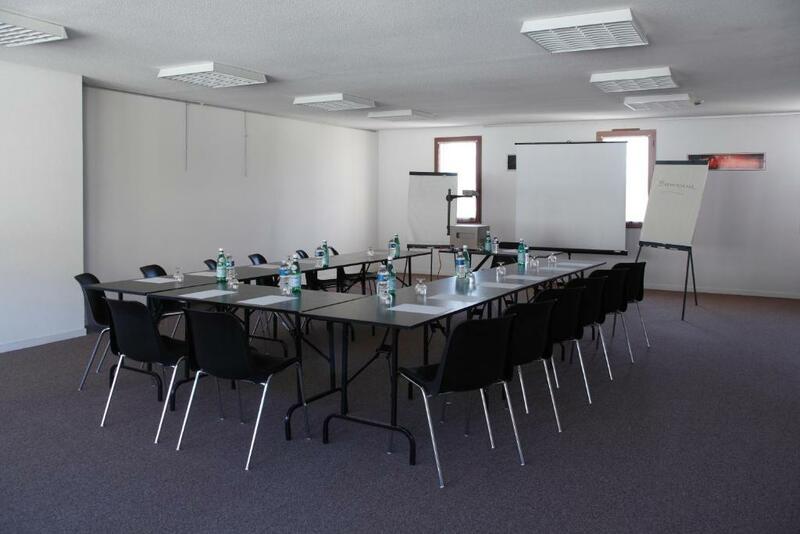 Each is air-conditioned and also has a kitchenette with hot plates. Guests can enjoy the buffet breakfast in the breakfast room or on the terrace. 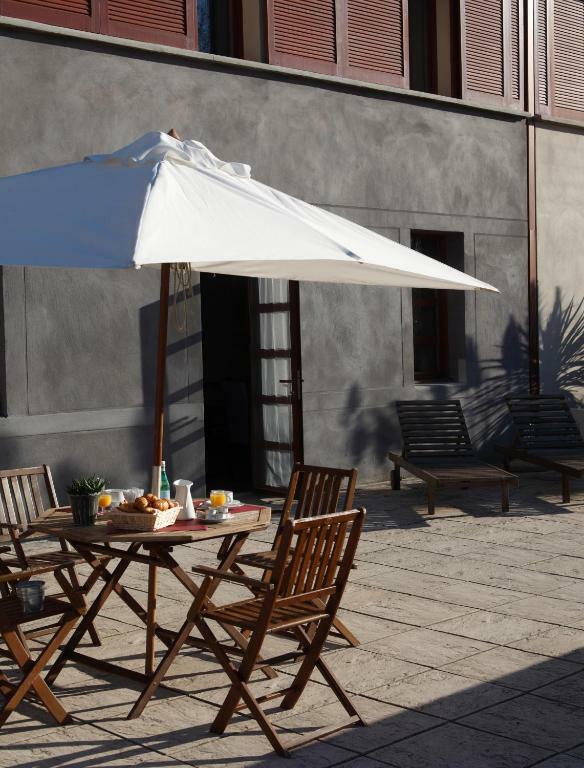 Private parking is available on site and guests can also rent bicycles to visit the Cathar Castles. Saint-Nazaire Basilica is a 5-minute drive from the residence. This is our guests' favorite part of Carcassonne, according to independent reviews. 뀐 Located in the top-rated area in Carcassonne, this property has an excellent location score of 9.1! When would you like to stay at Adonis Carcassonne? 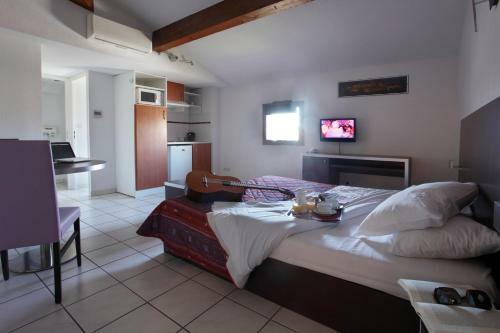 This studio has a kitchenette and a bedroom area with an LCD TV. 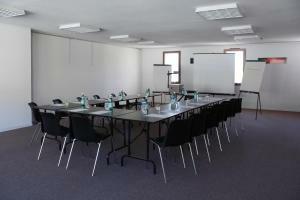 Private parking is available on site (reservation is needed) and costs EUR 9.50 per day. This apartment has a bedroom and a living area with a sofa bed and an LCD TV. There is also a kitchenette. In the bedroom, there is one double bed or two single beds. Please specify your bed-type preference in the special requests box when reserving. This duplex apartment has a separate sitting area with an LCD TV. Adonis Carcassonne La Barbacane vous accueillera dans l’un de ses 70 appartements climatisés, entièrement meublés et équipés avec goût, pour que votre séjour soit une réelle réussite. L’équipe de la résidence Adonis Carcassonne La Barbacane a le plaisir de vous accueillir dans un cadre luxuriant, au pied de la Cité de Carcassonne (5 minutes à pied) classée au Patrimoine mondial de l'Humanité par l'Unesco. Vous découvrirez ainsi une magnifique région avec une richesse culturelle extraordinaire. House Rules Adonis Carcassonne takes special requests – add in the next step! Adonis Carcassonne accepts these cards and reserves the right to temporarily hold an amount prior to arrival. For arrivals outside of these times guests are kindly requested to contact the residence in advance. Please note that for all reservations of 5 or more rooms, special conditions will apply. The property will contact you to give you further information. One of the most picturesque neighborhoods in Carcassonne! Toilet seat was loose, but a very minor issue. a) size of the apartment b) location c) proximity to the walled city d) breakfast Have used Adonis previously and expect to use it again in the future. Good location. Basic but ok. Nowhere to leave my luggage until checkin at 3pm. Right at the base of the beautiful castle. Felt like I was in a village. Room was excellent. Everything was perfect: the room was very clean and the view was perfect ! I wish to come back! Extra pillow would have been good. Maybe a coffee/tea sachet or two. Clean bright spacious room which benefits from a mini kitchenette. No frills. Good value. No kettle in the room. Good location, just beside old city. It is very basic apartment hotel. But you don't find there tea or sugar like in other apartments. Even dish washing materials you need to buy. Privat parking for additional price, but there is possibility to park on the streets for free. Good price - value ratio. But for everything additional is necessary to pay. For example take away coffee - 4 EUR. The bathroom could be more comfortable, but it was fine. Location and spacious rooms. Some of them with views to the old town. Communal gardens. Free car park in the streets and a private car park for an extra cost. Little hard bed. Can be improved.